It seems that my entire life has lead me in the paramedical direction, but I didn’t quite realise it until that moment when you are asked “What do you want to do when you graduate high school?” After some discussion, I found that my only interest was in Massage Therapy. Looking back, it seems like a no brainer! I have been active in sports and health for as long as I can remember, and my favourite courses were Biology and Exercise science. Massage therapy was a perfect fit for me from day one, and I gained invaluable knowledge and experience during my three years in classes as well as working alongside our Varsity Athletic Therapist. I love going to work every day knowing that I will have a positive impact on each person I massage. Carly graduated from Massage Therapy at Georgian College in 2008, and has been registered with the CMTO since 2009. The program courses included Anatomy and physiology, pathology, Massage techniques, clinical, kinesiology, and various outreach programs. 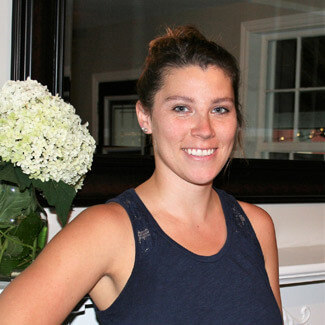 Carly has been treating at Cookstown Chiropractic & Wellness Centre since 2010. In her spare time, she enjoys playing volleyball as well as other sports, spending time with family and her dog Tessa, camping, or working on a new creative hobby.